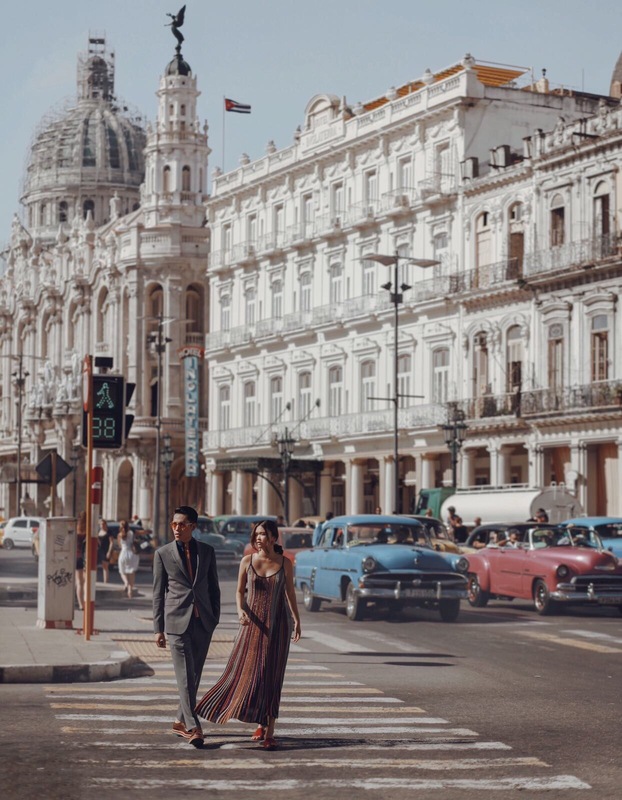 The concerns and conflicting opinions of travelling to Cuba are very real but it still presents as an alluring destination for many. It's political and economic climate that locals live in is a harsh reality in contrast to the shiny vintage cars and fancy rooftop bars that social media shares. Yet for those with the desire to visit, it has provided an expansive perspective to local life than any image or Instagram account can. I dreamt of visiting this closed country for years, and my time there was far from glamorous. Tourists, myself alike, take a gazillion photos of every street we find ourselves on saying that it is 'beautiful' but what we may not realize is how much poverty these Cubans face on a day to day basis with frequent electricity cuts and living in dilapidated old buildings with many families cramped into whatever living space is available... I cannot imagine what the locals face after Hurricane Irma hit the country. Yet it is a unique and creative country with a survivalist spirit and despite its setbacks of being frozen in time, it remains an optimistic and open place full of upbeat personalities. 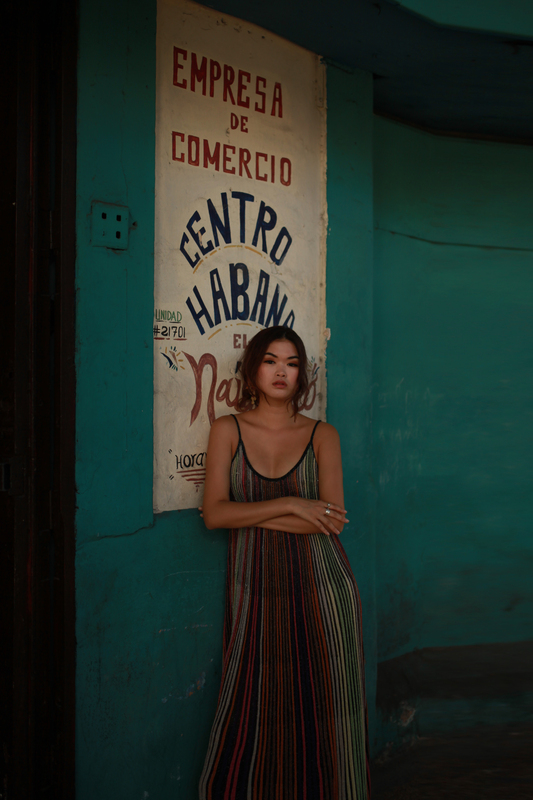 I am excited to share my time in Cuba but this is no attempt to romanticize this country except to share what I experienced during one of the most refreshing weeks of my life. 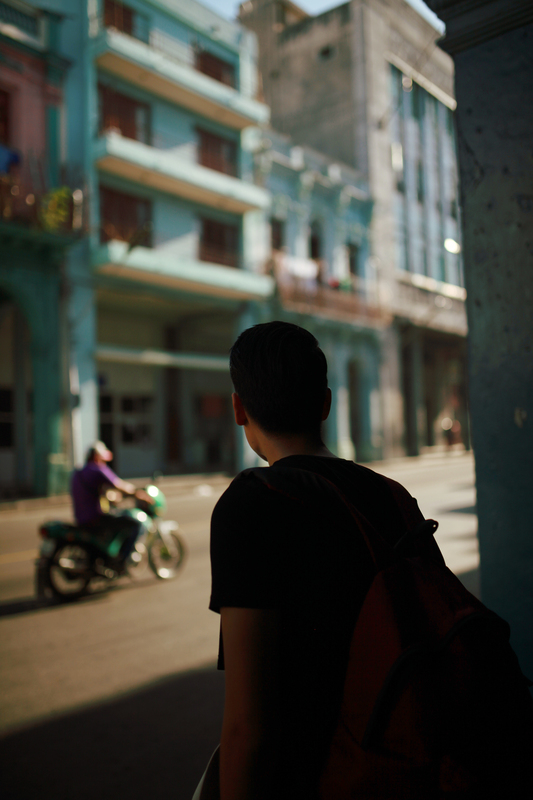 I hope that this photo diary will give insight to Cuba, and in turn, inspire you to visit. My tips and recommendations (thanks to many of my friends who have helped make my trip is more enjoyable experience) are also included in this post. You have all your necessary travel documentation. You have a Cuban Tourist Visa or Tourist Card - it is the same thing. A Cuba Tourist card is only valid for tourism, leisure or recreational purposes and is required by everyone, including infants to enter Cuba. You can get one via a Cuban Embassy or order it online like I did here. Ordering the visa online proved to be much less of a hassle as the process only takes a couple of minutes and they send the visas worldwide visa DHL. A visa costs about £26 before delivery. You also need to have accommodation booked before you purchase your visa. Airlines will not allow you to board your flight without an authorized Tourist Visa. You have Cuba-Specific Travel Insurance - All visitors are required is a health insurance that is accepted in Cuba. If you already bought a yearly travel insurance policy, you will need to check and see if the policy covers Cuba. If you do not, most airlines provide this as an option when you purchase your flight. All visitors are required is a health insurance that is accepted in Cuba. I did not get checked at the airport for this but after the massive amount of research I did before the trip, I urge you to not scrimp and save on this cost as it might create trouble for you at immigration and should you fall ill during your trip, it is always good to have some form of medical insurance. You have prepared enough cash to last you throughout your entire trip. Most credit and debit cards do not work in Cuba yet and an ATM is a rarity. Without the cash, you will be unable to pay for even basic essentials like lodging and food. You will be experiencing limited internet connectivity. Make sure you let friends and family know back home before you begin your travel. 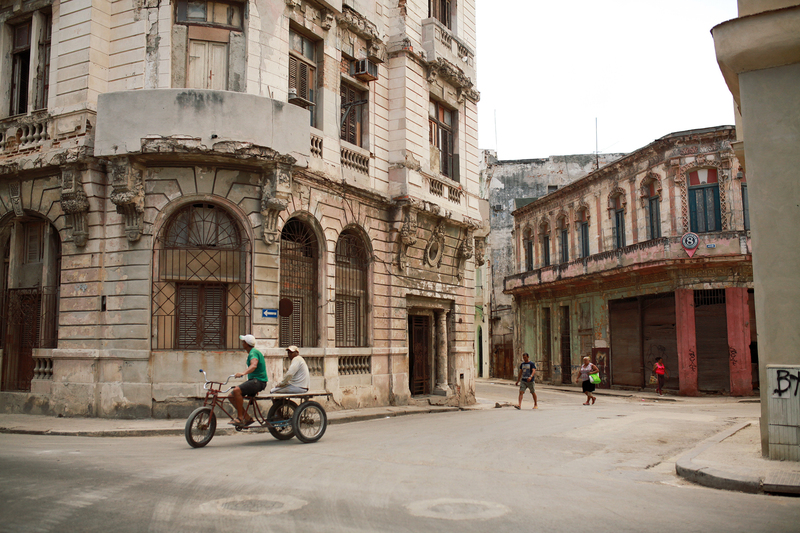 I flew on a direct flight from Paris' Charles de Gaulle Airport via Air France to Havana. It took about 10 hours. You will need to change money at the airport. Cuban Pesos are a closed currency and only available upon arrival in Cuba. The line is insanely massive, so if you do not mind taxis ripping you off a little you can pay them in USD and try to go to a local bank in Havana to get your currency changed later. The exchange rate for money in Cuba is all over the place. Most restaurants, shops and lodging will accept foreign currency (mainly USD, Pounds Sterling and Euros) but they'll give you ridiculous rates so it is recommended you change your money at a local bank where the exchange rate goes accordingly to the state. As it was my first time in Cuba, and having only been in Havana itself for a couple of days - here's an honest account of my experience. 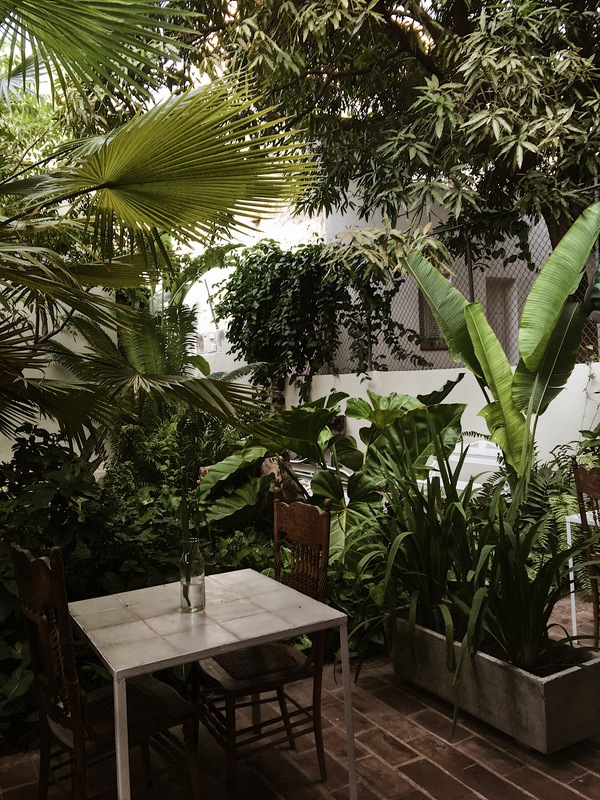 I stayed in a traditional Casa for the first few nights and while it's more than decent, it was too hot, no ventilation in the room, rooms came with just a very basic bed and table, electricity was unreliable and the sewage system made the toilets smell... I can't say it was the most comfortable but after reading and talking to people, what I experienced was very normal in Cuba. I can say Airbnb is pretty reliable if you are looking for a Casa. I also stayed a couple of nights in a luxurious boutique hotel called La Reserva in the Vedado district of Havana. Most guides will recommend you to stay in Vedado as it is a quiet and safe neighbourhood, surrounded by beautiful homes while being easily accessible to Old Havana and it's other main attractions. 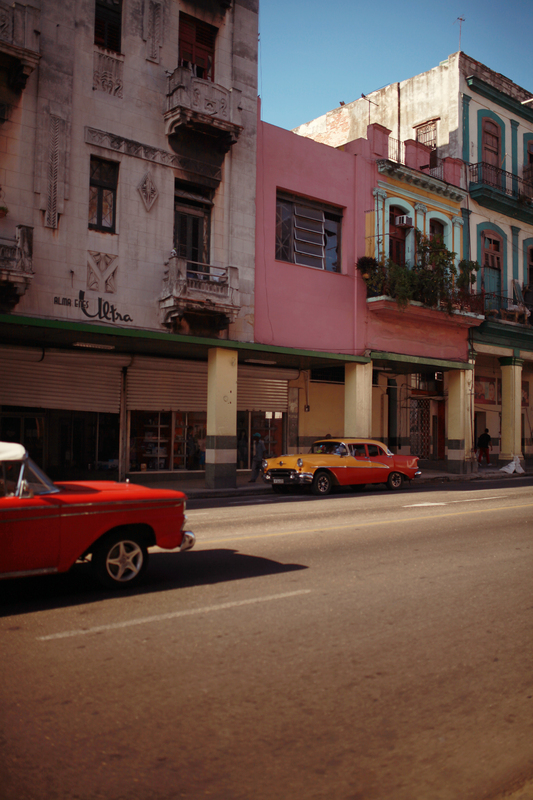 It is easy to get a taxi to take you right to Old Havana. Note that Casas and boutique hotels do not provide wifi. You may purchase a wifi card from some of the bigger hotels that will entitle you access for one hour. While La Reserva is definitely more pricey, it is beautiful and worth every penny. The breakfasts are amazing, the staff are the friendliest people and most attentive to your needs. 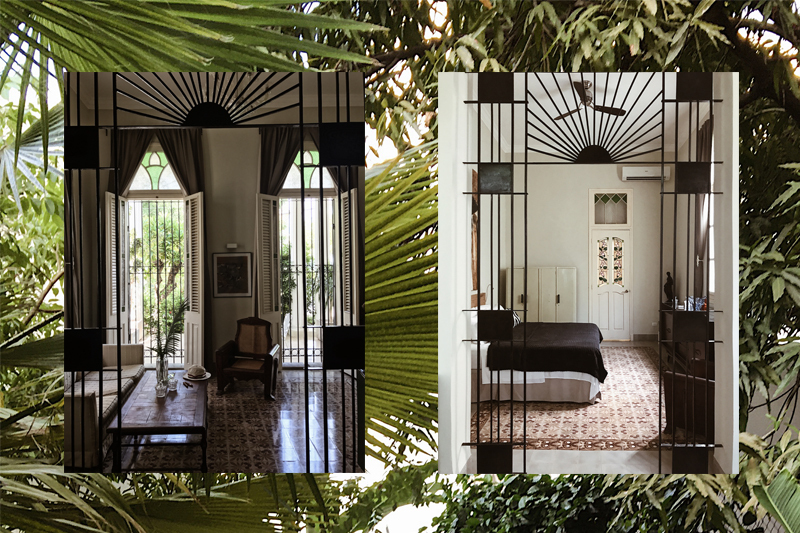 In fact, I can safely say La Reserva was not only one of the highlights of my time in Cuba but one of the best boutique hotel experiences I've had the pleasure to be a part of. We booked 2 suites and they were beautiful. On top of this, we requested for some traditional home cooked food and the staff specifically made it as per our request, together with cocktails. It was such a great meal. I booked a half day tour around Old Havana and it was an easy, comfortable way to experience the city before you get to know your bearings. I highly recommend it. 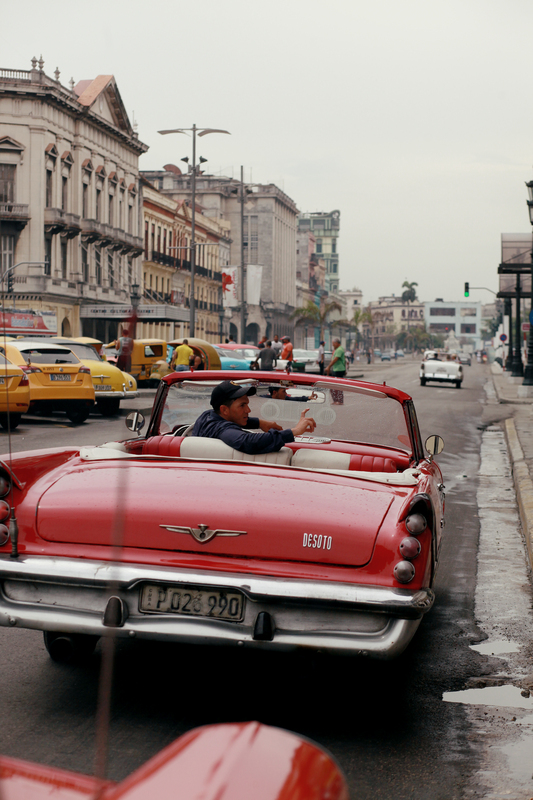 You can do so via Havana Journeys, they are easy to communicate with despite limited connectivity and as long as all tours are confirmed before the date of your arrival, they will be at the door of your accommodation to pick you up in a retro vintage car and off you go. We used Havana Journeys for our roadtrips to Trinidad and Vinales respectively. 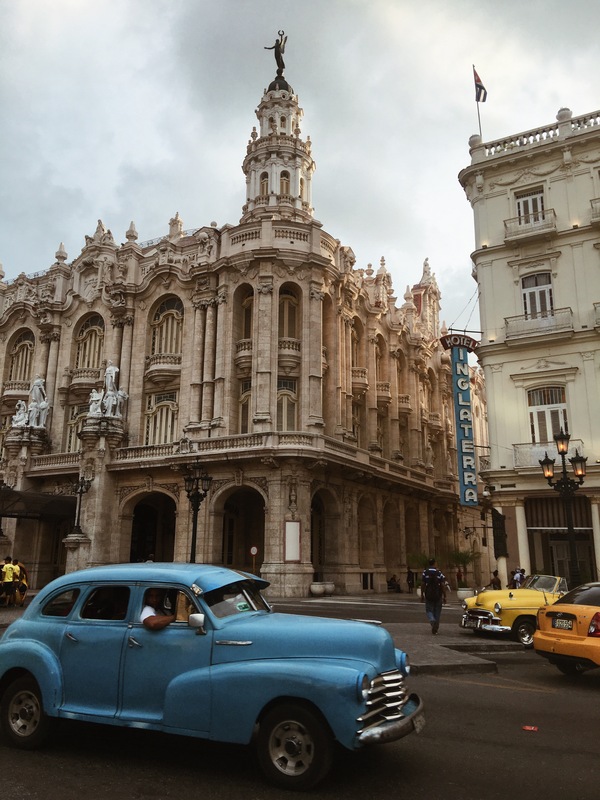 While I personally found these tours to be a lot more pricey and uncomfortable due to the fact that the cars you'll be sitting on for at least 3-4 hours at a time are at least 60 years old - getting a guide and driver to take you around Cuba is the easiest way to experience life outside of Havana. I always recommend doing a more local experience, but it was difficult for me to plan it in a place I had never been to before and didn't know enough about so the tours were a more touristy route but also worth it for the security and convenience. You can also get a taxi, or bus to these locations and spend a night or two free and easy. I loved Trinidad and would have loved to stay longer. With our guide, Miguel, I learnt a lot about the Cuban Revolution, everything to do with the history of Cuba and a lot about the livelihoods of the Cuban people. It was an eyeopening experience and I was glad to have a reliable guide and driver that we could count on throughout our trip. I don't have much recommendations in Trinidad (go to the beach! 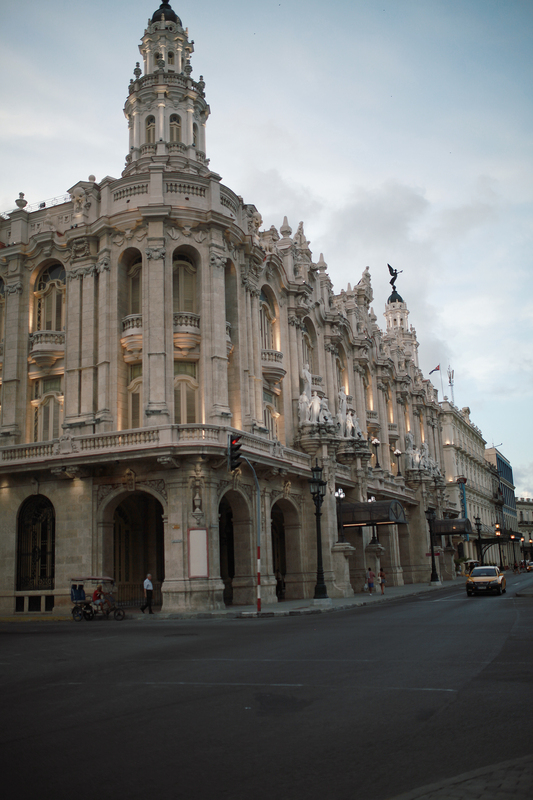 I loved it) and Vinales but here are some things to do in Havana. *Note that it is recommended to make reservations in advance for restaurants especially during dinner. I would suggest making reservations ahead of time, weeks before your trip to Havana. We experienced the nightmare of not knowing there to go and not wanting to end up in a tourist trap. With no wifi, we weren't able to google for recommendations and phone numbers or how to get there. A lot of restaurants are unable to meet with the demand of tourism so many function of a strict reservations only policy. Cocktails at Floridita - A tourist landmark where Hemingway used to frequent, and known best for inventing the Daiquiri. I expected nothing going there, and yes it was packed with tourists but the Daiquiri blew my mind (it was amazing!!) and the live music was so much fun. Arte Factory or the Fabrica de Arte Cubano - I was bummed to have missed this. They are only open a few months a year and Thursdays to Sundays from 8pm-3am. It is considered to be one of Havana's newest fine art projects filled with bars, live music, dance, films, photography and art expositions located in a converted oil factory in the Vedado district. People have told me it is one of the best things that has happened in Havana in a long time. El Cochinero- Have dinner at El Cochinero before making your way to the Arte Factory, they are located side by side and there is a pretty outdoor terrace to enjoy your meal. The food is pretty decent. Watch the sunset from the Malecón- A Malecón is essentially an esplanade or a sea-wall, one of the most famous ones being in Havana of course. It stretches 8km along the coast of Havana and everyday we drove past seeing a lot of locals just sitting on the stone walls, hanging out with each other. Bueno Vista Social Club- Any social club is a must in Cuba. Music and dance is the spirit of Cuba. You can have dinner here followed by drinks and the live performance which starts at 9pm. We only went for the drinks and live performance but absolutely loved the music and dancing. Plaza Vjeja- The first stop our guide brought us to is a historic Old Square located in Old Havana. It is sprinkled with bars, cafes, restaurants and even has it's own microbrewery. Plaza de Catedral- Just beside Plaza Vjeja and located in a beautiful old square. 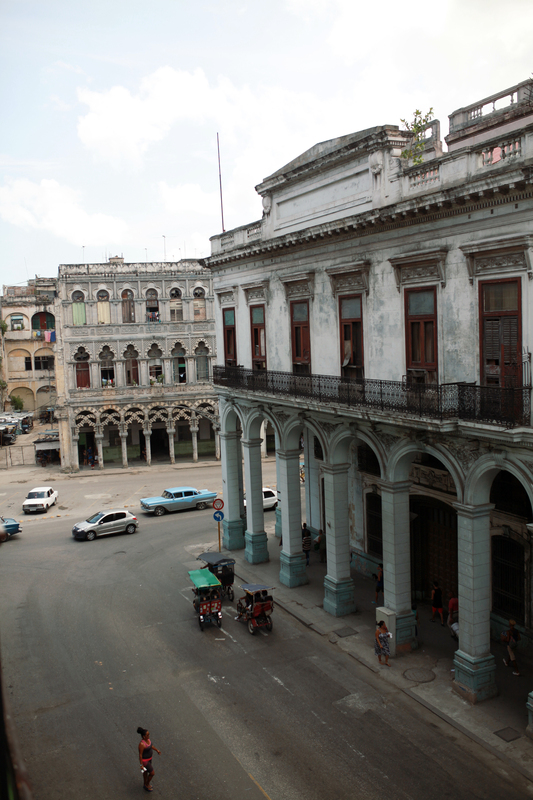 Parque Central- The most known and central site of the city of Havana. 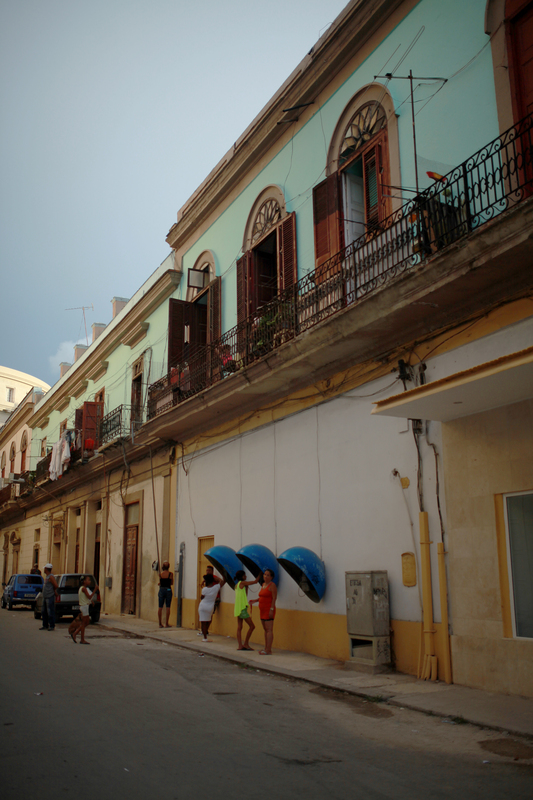 It is such a lively part of Havana with incredibly friendly locals and live music at every other corner. The big hotels are located around around here so this is the place to go for wifi! Listen to some live music at the hotel lobbies while having a cocktail and using the wifi. Or simply do it under the sun in the wifi-friendly parks. This is also the iconic square where you see all the vintage cars parked, along with horse carriages and Coco taxis. Dinner at El Del Frente- I really really loved this restaurant. We thankfully made reservations or it would have been impossible to get a table. There is a cozy little terrace and an indoor seating area on the second floor. The cocktails here are amazing and so is the music but don't even get me started on the food. We came back here twice, and spoke about it constantly. They serve freshly grilled seafood and meats, refreshing salads and delicious pastas. The whole vibe of the restaurant is cozy and the staff recommended us some of the coolest places to visit in Havana. Drinks at Roma Bar- Great for live music and drinks as usual but Cuba is all about that. I would recommend coming here after dinner at El Del Frente. 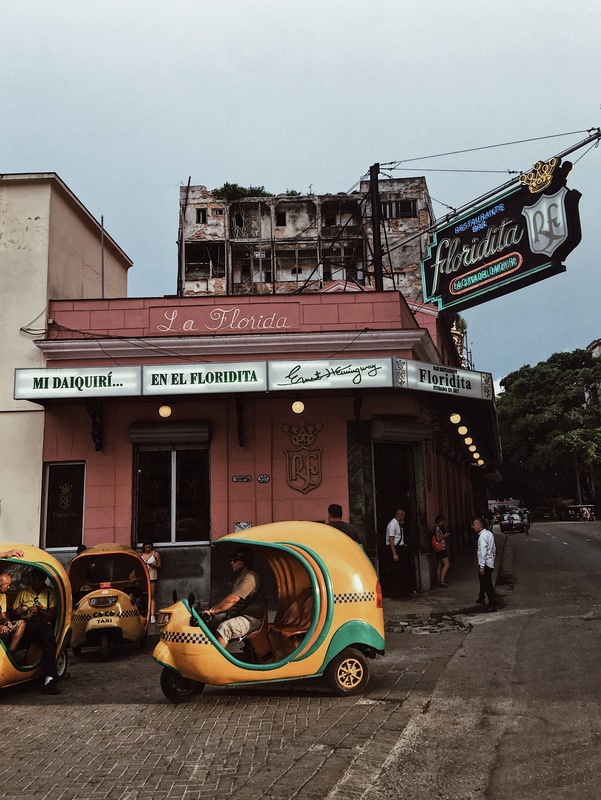 La Guarida- Lunch or dinner at Cuba's most iconic restaurant. The food is good and fresh and the prices very reasonable for the experience. 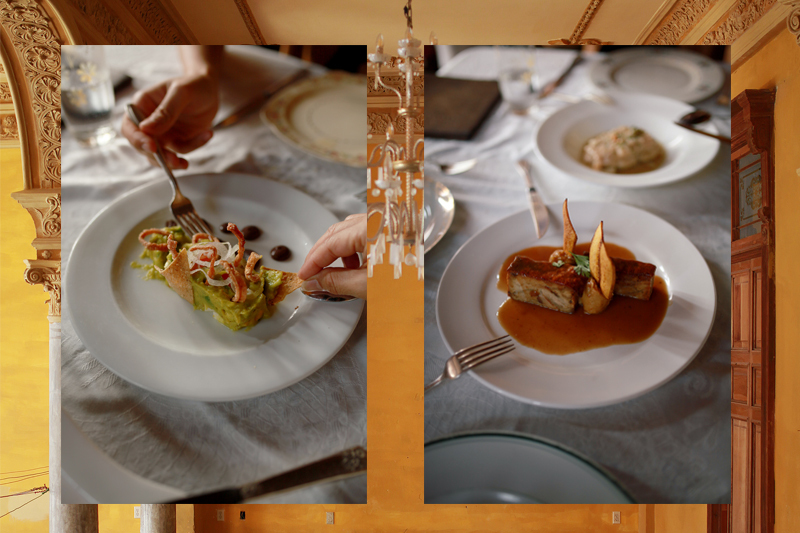 It is located in a beautiful building, which is why I am glad I got to experience La Guarida for both lunch and dinner because the colour of the interior is simply stunning. Have cocktails at the rooftop bar before heading down to the restaurant for dinner. La Guarida is a must if you are in Havana. I made my reservations a few weeks in advance. 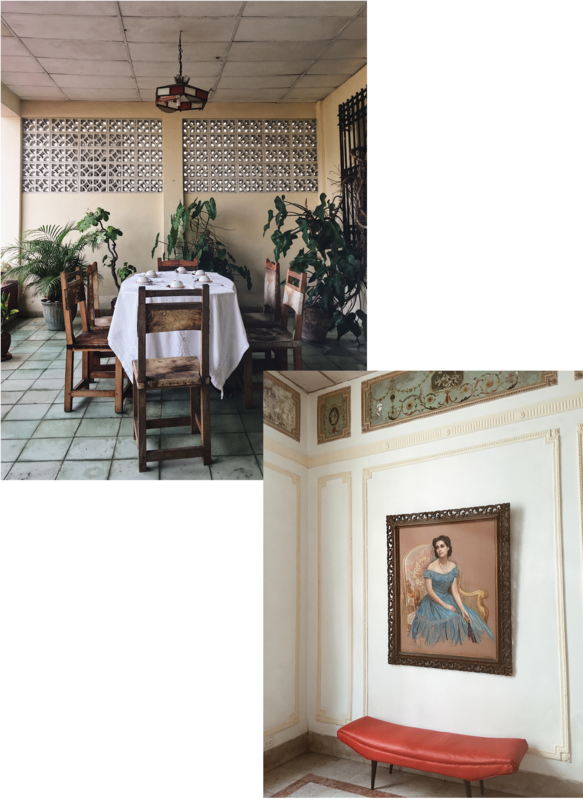 Don Eutimia- I screamed out loud when I found out the restaurant was closed for renovations during my time in Havana but people have been telling me time and time again that it's one of the best restaurants for authentic Cuban cuisine in Havana. Make sure to make a reservation! With tourism slowly growing in Cuba, a lot of the food we saw in restaurants were suited for an American taste. I recommend going for a local experience during any opportunity you get. If you are staying in a Casa, ask if they would be willing to cook you a Cuban home cooked meal. We experienced this in our boutique hotel as I mentioned above and it was one of my favourite meals during the trip. 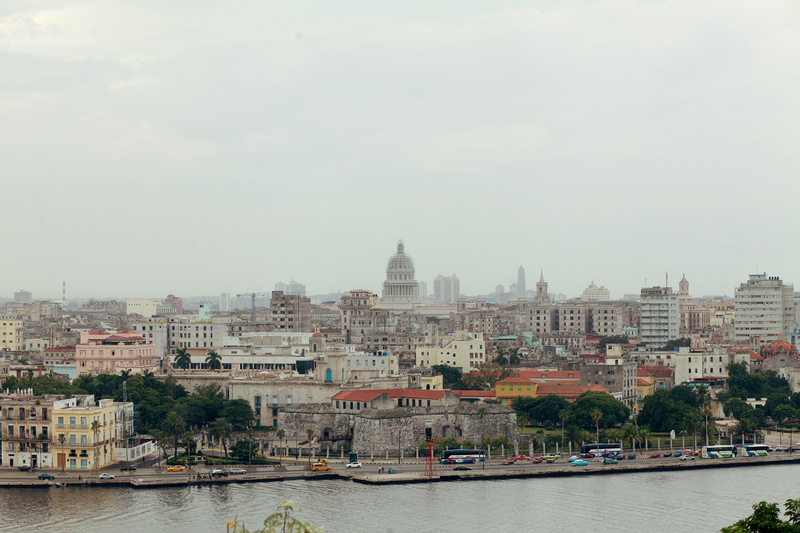 We spent about 4 full days in Havana, took a day trip to Vinales and a night in Trinidad, visiting Cienfuegos on the way. While I can't say if it was the best way to see Cuba, I think I experienced a good amount of local life together with history and of course, the epic cocktail and live music part that comes with Cuba. In total, we were in Cuba for a week which felt like the right amount of time. People have also recommended taking a car ride out to Varadero (2 hours from Havana) for the white sand beaches but we were unfortunately unable to do that. Cuba is really a place you go to disconnect, our trip was far from glamorous (think 6 people including our guide and driver squeezing in a 50 year old car for 4 hours and the frequent electricity cuts). But it is a place you relax, you enjoy a good beach and sunset, you sip on an amazing daiquiri or mojito, you get dressed for dinner and dance to live Latino music and eat fresh lobster. It was an eye-opening experience. Would I go again? Yes! I loved it. I loved mingling with the locals, I loved the fresh seafood, particularly the abundance of lobster, I loved the every single cocktail I drank and felt like I was in cocktail heaven. It is a love-hate thing. With proper planning you can really enjoy Cuba. Taxis ripping you off are a norm there with exorbitant prices. But I say, take everything with a pinch of salt. Cuba is a very poor country, 90% of working people are slowly moving into the tourism industry because it's the only way to make decent money. Some of these drivers have only their cars. Eat at places run by locals, stay at places run by locals (while my boutique hotel was another thing, I still enjoyed my Casas very much), buy souvenirs from locals. Anything that we can do to give back to them is great. Cuba is generally a very safe country, and even in my ridiculous outfits I felt well-respected by locals. I loved that there was equal respect for women among locals as well. On top of this, the locals are very respective of tourists because of the good we can bring them, and it will continue to stay that way if we support them. Thank you for reading!